Masks to: 60 x 80"
The Draper 60 x 107" Access Multiview/Series E Motorized Masking Projection Screen System: Ceiling Recessed - Non-Tensioned - 123" Diagonal - WideScreen Format (1.85:1 Aspect Ratio); Masks to: 60 x 80" - 100" Diagonal - Video Format (4:3 Aspect Ratio) - (Matte White) - This is a motorized projection screen with an independently motorized masking system installed in the same case for dual format projection. A flat black mask on a second motor-in-roller converts the screen to a 4:3 NTSC format by masking the right and left sides of the viewing surface. The height of the viewing surface remains constant. 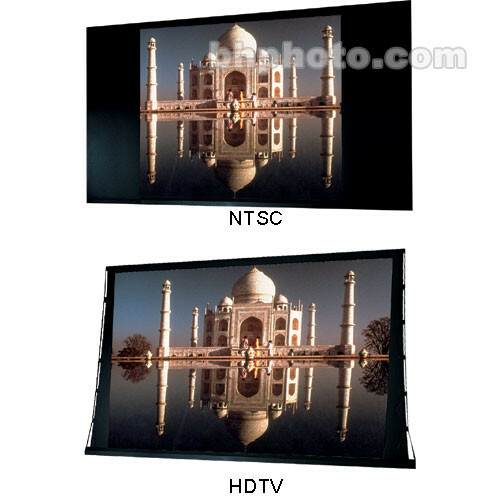 Both screen and masking system are independently controlled, each using any standard or optional control. Or, select AMV-C, a low voltage control that allows both motors to be controlled by independent 3-button switches in a single box. Box Dimensions (LxWxH) 146.0 x 11.0 x 10.0"